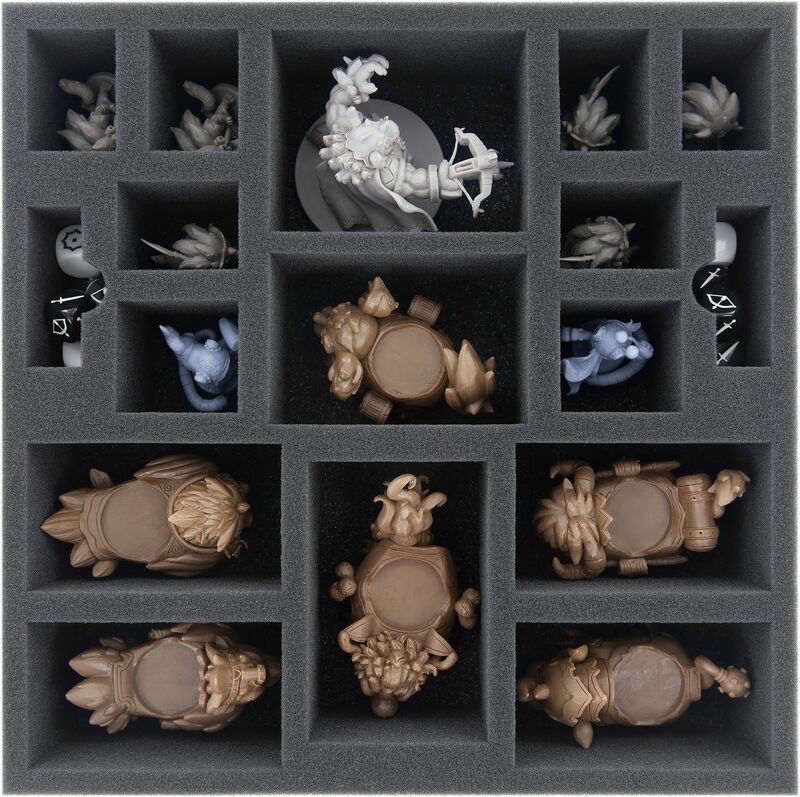 As you will notice at first glance, the 15 "Riders" miniatures have been thoughtfully designed and carefully crafted. 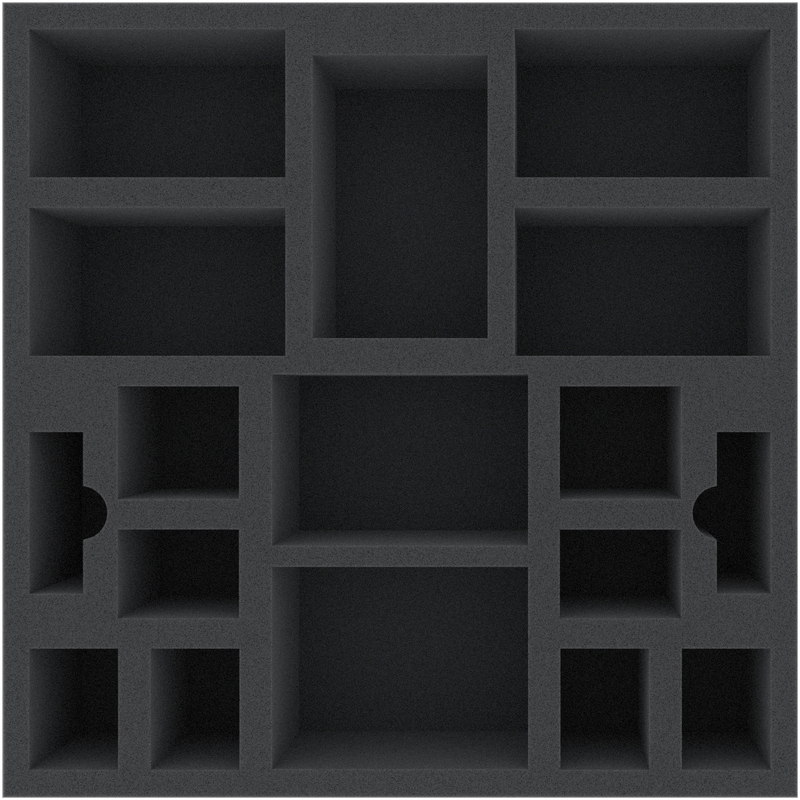 In order to protect them properly, we recommend our custom cut foam set. 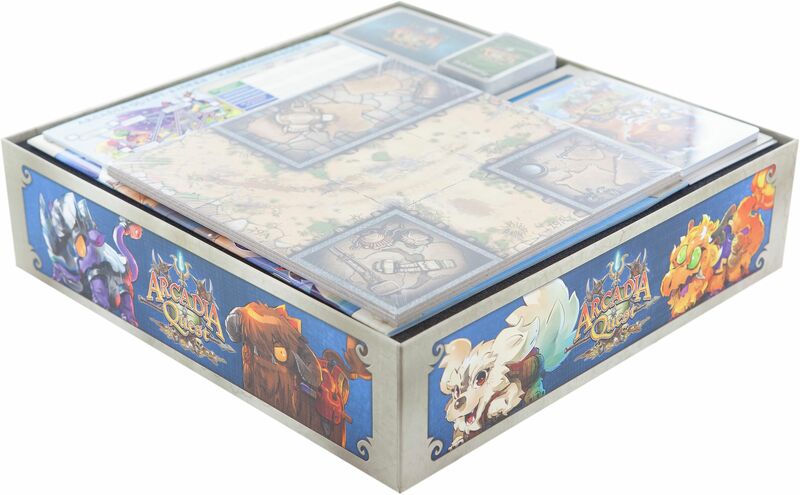 The set fits exactly into the original board game box of the Arcadia Quest expansion "Riders". Suitable for all 15 miniatures. 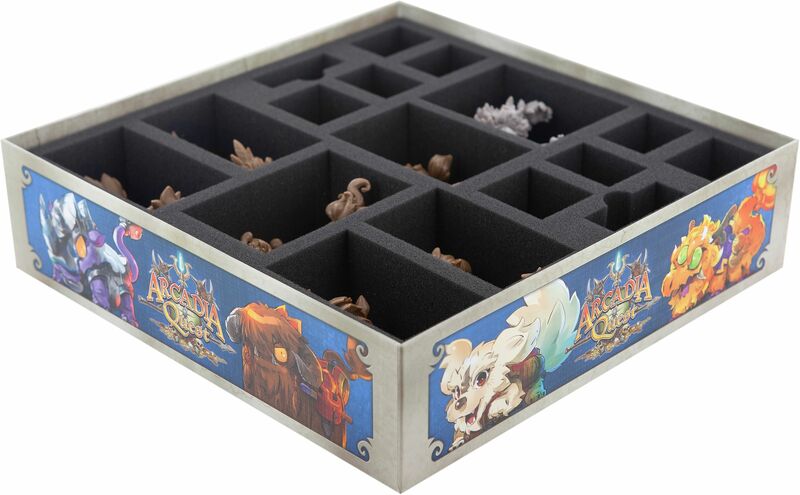 The lid of the board game box closes level even when the foam set is inside the box. 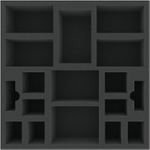 Each of your miniatures gets their own, exclusive compartment. This way, your minions, heroes, mounts and the Malkhor are throughly protected against damage. Delicate parts will thus stay intact, color will remain unharmed. 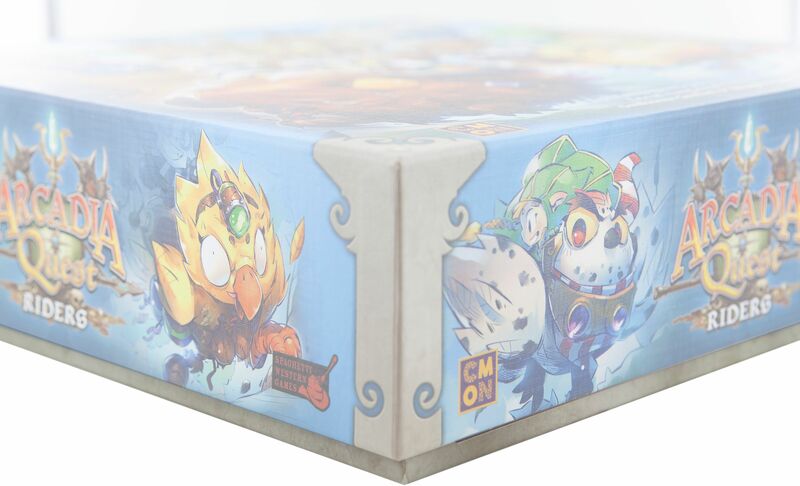 In order to make sure that nothing falls out of the tray or bumps against the lide of the game box, the set comes with a matching foam topper. 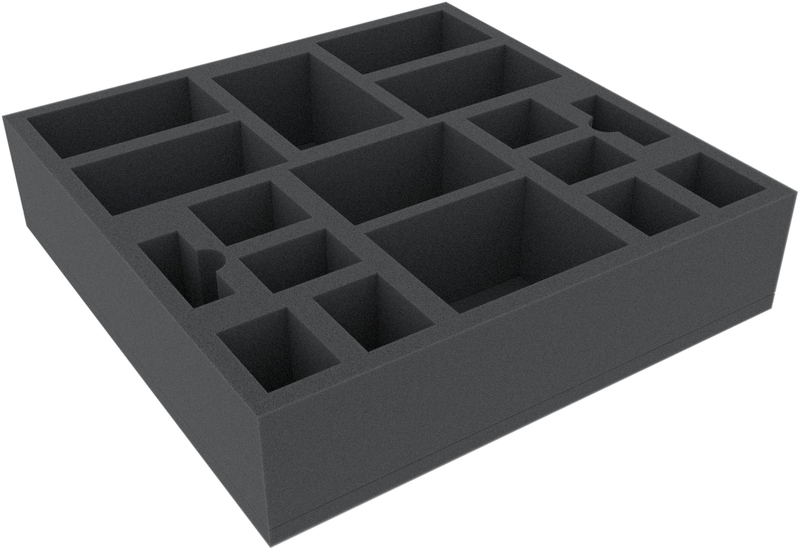 The foam tray (AGMEKM070BO) has the following dimensions: 295 mm x 295 mm x 70 mm total height (60 mm usable height + 10 mm foam base).